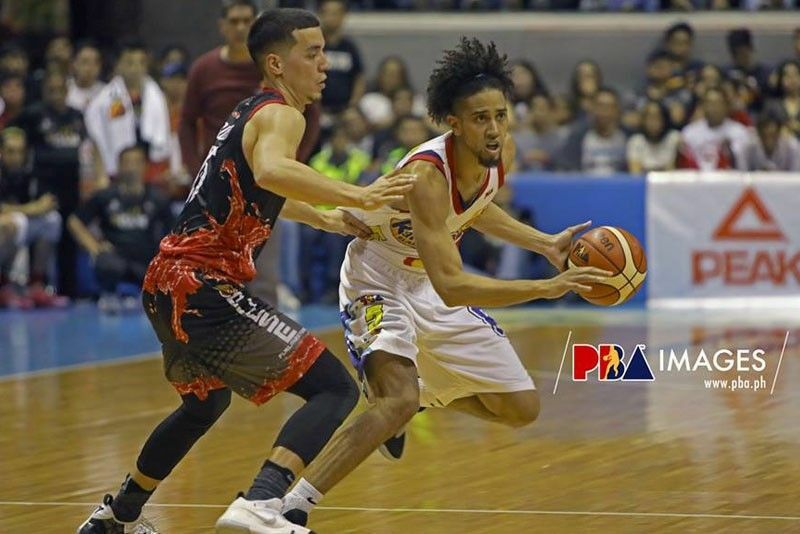 MANILA, Philippines — The two teams on top of the PBA Philippine Cup standings at the moment are so-called “independents,” a breakthrough in parity as none of the three San Miguel and three MVP squads are leading the pack. In solo first is Rain Or Shine with a 6-1 record, winning its last four outings. Second is Phoenix at 5-1, with the Pulse Fuel Masters losing their first contest to the Elasto Painters, 98-94, in overtime at the Smart Araneta Coliseum last Sunday. It was Phoenix’ third extension in six games this conference. Phoenix dominated most of the statistical departments in the loss to Rain Or Shine but couldn’t escape the setback. The Fuel Masters had more rebounds, 61-44, second chance points, 25-5, fastbreak points, 14-5, less turnovers, 14-16 and more field goal attempts, 98-74. The Elasto Painters, however, shot at a higher clip from the field, 47.3 percent to 38.8, and collected more assists, 23-19 and bench points, 49-33. In six wins, Rain Or Shine has held opponents to an average of 91.8 points. Rain Or Shine coach Caloy Garcia was just as humble in assessing the situation. “Another lucky win,” he said. Garcia singled out Beau Belga as a key to the team’s surge. In the last three games, Belga has averaged 15.3 points, 5.3 rebounds and 6.3 assists. Before the season started, Garcia challenged Belga to take a more active leadership role. Garcia said zooming to the top of the ladder is a blessing but the challenge is to stay No. 1. “Learning to trust one another and understanding one’s value can help us get better,” he said. “6-1 is great but staying there is the challenge. I wasn’t expecting us to be where we are now and that’s what makes me proud of seeing the guys’ hard work paying off.” Rain Or Shine plays Magnolia next tomorrow while Phoenix returns to action against NorthPort on Feb. 27.